Having read some new info about the upcoming Alter Bridge album I thought I’d get the writing juices flowing and try to do another album review. It has been quite some time since my last review so I will make it easy on myself and review an album that stays queued up on my iPod. This artist really needs no introduction to hard rock fans. The name alone brings to mind ear splitting, eye popping hard rock riffs and solos from song titles like “Welcome to the Jungle”, “Paradise City”, “Sweet Child O’ Mine”, and “Civil War”. Slash, in my humble estimation is the only one to come out of the train wreck of the G n’ R 80’s and 90’s with some substantial and sustained talent intact. He was the primary driving force behind the commercially successful band Velvet Revolver. Had it not been for lead singer Scott Weiland’s love affair with drugs, the band would still be creating major songs for the headbangers to enjoy. So what did Slash do to find another lead singer? He went out and got at least 12 singers to sing his songs on this solo project. “Slash” the album, was released April 6, 2010 to some pretty high expectations. The original album title was going to be “Slash & friends” but the “& friends” was eventually dropped in favor of the artist-titled version. In an interview with Spinner magazine, (posted 7/06/2010) Slash talked about the “smooth operation” of getting the guest vocalists involved, and the “logistical nightmare” of getting legal releases from the artist’s record companies. He also comments on some of the artists he worked with, including meeting an unknown to him, Myles Kennedy. The album begins with one my favorite singers Ian Astbury of The Cult on the track called “Ghost”. The guitar in the song has the signature Slash palm muted riffs and power chords. A quality song. The next track features Ozzy, another artist who needs no introduction but does in fact have a last name, although he doesn’t really need one. The song, “Crucify The Dead”, begins slow enough with Ozzy’s recognizable vocals, but builds to a sophisticated droning of heavy metal pomp and crunch. The next track was a major surprise to me. “Beautiful Dangerous” begins with a phased, thumping bass line and builds to Slash’s palm muted power rhythm. The vocals are performed by Fergie. Yes the Black Eyed Pea, Fergie. I had no idea she had such great pipes. The fourth track is a Memphis blues laced diddy called “Back From Cali” and features the vocals of Myles Kennedy. Those who have not had the privilege of hearing Alter Bridge are appreciating his vocal range on this Slash product. Myles is the primary vocalist of Slash’s tour. I have seen video footage of the tour and Myles does a great job on the old G n’ R songs. “Watch This” is a well thought out instrumental song which features David Grohl of Foo Fighters and old Slash pal Duff McKagan. “Nothing To Lose” is probably the heaviest song on the album and features M. Shadows of Avenged Sevenfold. The song reminds me of classic Black Sabbath. 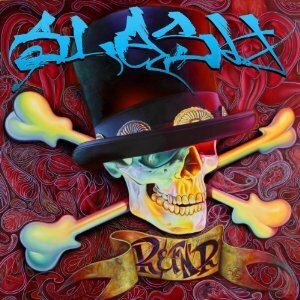 Overall the album is quality hard rock as only you could expect from Slash. In the interview with Spinner, mentioned above, Slash comments on how he selected the vocalist for each of the songs he wrote based on the material. I think he did an excellent job. 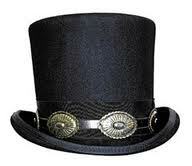 I give the album five stars, I mean, top hats out of five. Please check out the video for “Back To Cali” featuring Myles Kennedy.